A hilarious and heartwarming New York Times bestselling novel—now a major motion picture! 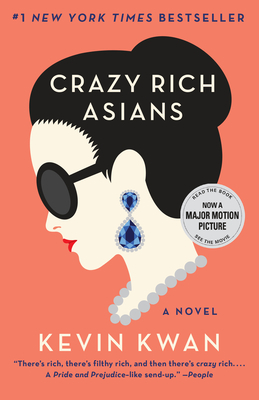 When New Yorker Rachel Chu agrees to spend the summer in Singapore with her boyfriend, Nicholas Young, she envisions a humble family home and quality time with the man she hopes to marry. But Nick has failed to give his girlfriend a few key details. One, that his childhood home looks like a palace; two, that he grew up riding in more private planes than cars; and three, that he just happens to be the country’s most eligible bachelor. We have a new way for you to browse books and quickly find a great read. Start any search and it will be curated by books which are Staff Favorites, Indie Picks, Award Winners and/or Bestsellers. You can choose to see only what is in store and put a book ON HOLD! Or select from 9 million titles and have any book shipped direct to your home or office.